of algorithms, but also include step-by-step procedures to allow implementation with any suitable software. 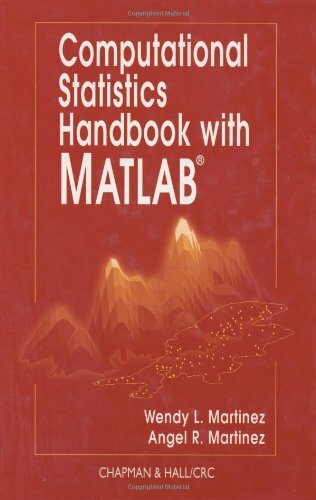 The book concentrates on the simulation/Monte Carlo point of view, and contains algorithms for exploratory data analysis, modeling, Monte Carlo simulation, pattern recognition, bootstrap, classification, cross-validation methods, probability density estimation, random number generation, and other computational statistics methods.Emphasis on the practical aspects of statistics, details of the latest techniques, and real implementation experience make the Computational Statistics Handbook with MATLAB more than just the first book to use MATLAB to solve computational problems in statistics. It also forms an outstanding, introduction to statistics for anyone in the many disciplines that involve data analysis.